It’s been a while since I made this one, and its pictures have been haunting me in my photo collection ever since. A few of my family members were in town visiting, and we needed something good for dessert. The thing is… we had a couple things to consider. #1: Many of us like to eat light and #2: my Mom is gluten free, so we had to choose something she could enjoy too. My sister is often recommending recipes from magazines, and she had pulled this recipe out of an issue of Better Homes and Gardens from last fall. Since I’m a snickerdoodle cookie FANATIC, it sounded wonderful to me… and it would be easy to turn it into a gluten-free version too. As far as eating light… well… we at least used light cream cheese- ha! 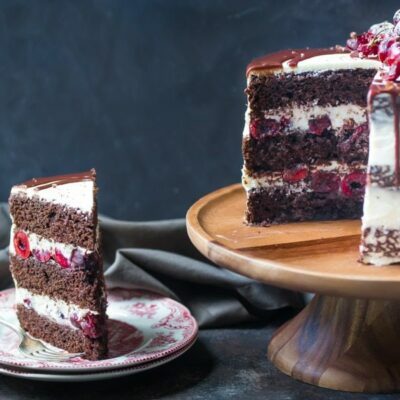 While this is not a low calorie dessert, devouring a small slice of it will totally satisfy your craving for sugar. I’m all for eating kind of a plain-type cheesecake without a lot of sauces or toppings or anything excessive like that. I love cheesecake enough not to mess it up with a lot of extra stuff, so this cheesecake meets that criteria. 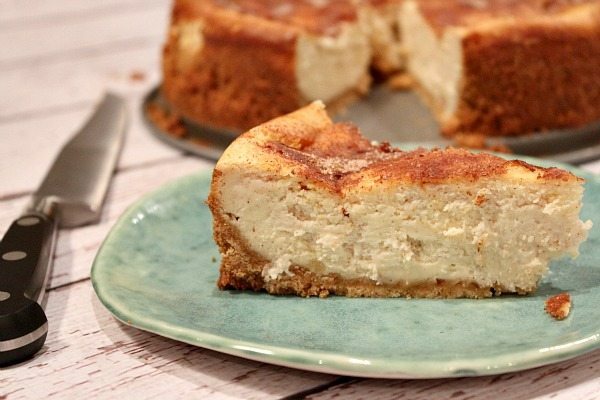 It’s a delicious and creamy textured cheesecake with a cinnamony-crust on top. Perfect! Our gluten-free adaptation of this recipe turned out very well. We used Cup-4-Cup Gluten Free Flour Blend (my favorite to use for baking). And for the crust we just used some gluten-free sugar cookies (animal cookies would work fine too). My gluten-free Mom was happy that she was able to eat it too. It was enjoyed by all of us. Did it taste like snickerdoodles? No, not really. 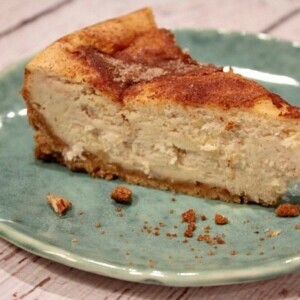 But it was a delicious cheesecake with a cinnamon-sugar touch! In a medium bowl stir together cookie crumbs and sugar. Stir in melted butter and mix until combined. Press the crust onto the bottom and 1 1/2-inches up the sides of a 9-inch springform pan. 3. 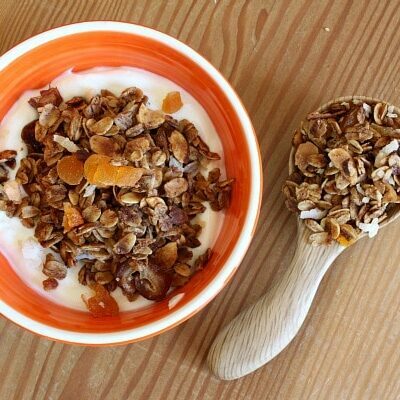 Prepare the filling: In a large bowl, use an electric mixer to combine the cream cheese, sour cream, sugar, flour, vanilla and cinnamon- mix until smooth. Then mix in eggs. Pour the filling into the pan, spreading evenly. Sprinkle with the cinnamon-sugar. Place the springform pan in a shallow baking pan. 4. Bake 40 to 50 minutes or until a 2 1/2-inch area around the outside edge appears set when gently shaken. Cool in the springform pan on the wire rack for at least 20 minutes, then use a knife to loosen the crust from the sides of the pan. Cool 30 minutes more, then remove sides of the pan. Cool the cheesecake completely, then cover and chill for at least 4 hours before serving. I made this last night and it is delicious! Thanks so much for sharing this recipe. 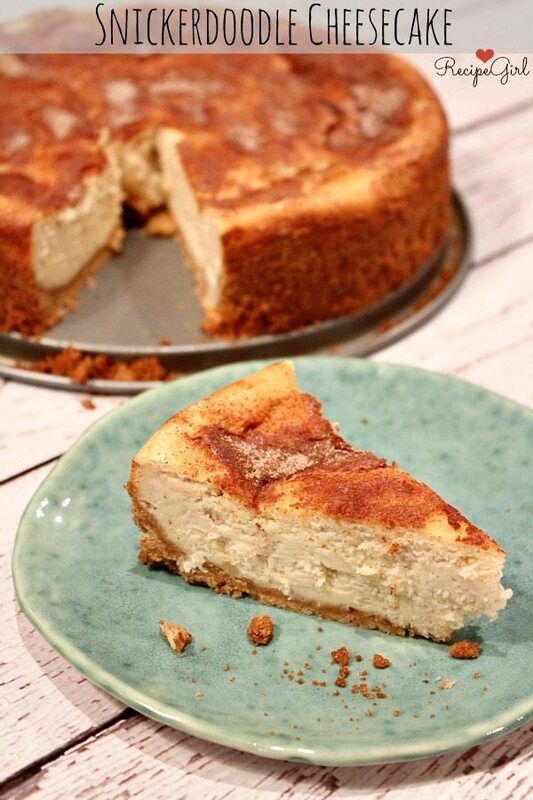 Hi, I wanted to let you know that I made this cheesecake when I hosted our book club. The book I chose had a main character who made snickerdoodles and I wanted to go fancier than just cookies, so I searched for a cheesecake recipe and found this. I used Girl Scout shortbread cookies for the crust and regular (not low fat or gluten free) ingredients – flour, sour cream, cream cheese. 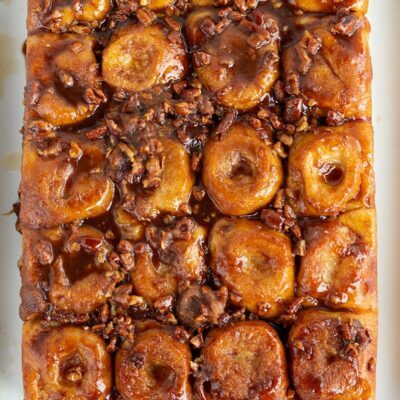 I topped it with a little whipped cream, a drizzle of salted caramel, and a few toasted slivered almonds. It was a huge, delicious success. Thank you! My two favorite desserts combined into one! Plus you used gluten free cookies for the crust! I’m gluten intolerant so pretty much all of my desserts are made from scratch. Thanks for posting this – I can’t wait to try it. Hi. I do not see the sour cream on the ingredients lust. How much sour cream? Thank you. Ack- I just added it in- so sorry about that! I love snickerdoodles too! This cheesecake sounds wonderful! Love that cinnamon sugar crust! Do you put water in the shallow baking pan? Thank you! No, there is no need to do that for this recipe. 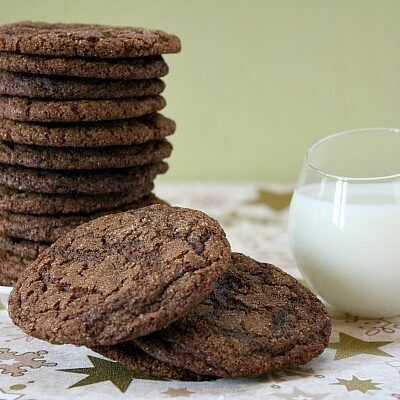 OMG Snickerdoodles – I LOVE those! 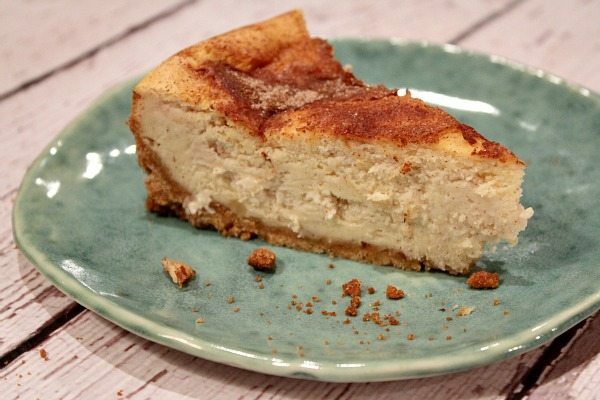 I made a snickerdoodle coffee cake once, but this is the first I’ve heard of a cheesecake. I simply have to try this one, thank you!